Sharron Dansby, Founder and Executive Director of Maximizing God’s Woman, Inc., has a passion for helping women maximize their full potential to become the women they desire to be. Sharron became aware that many women were hindered because they were dealing with the long term effects of child sexual abuse. 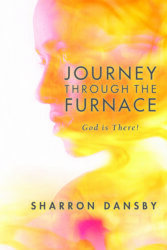 AUTHOR: To bring awareness of the problem of child sexual abuse, Sharron wrote her book “Journey Through the Furnace…God is There,” sharing her personal experience with the trauma of abuse, the pursuit to overcome some of the long term effects of abuse, and the process of healing to live a victorious life. 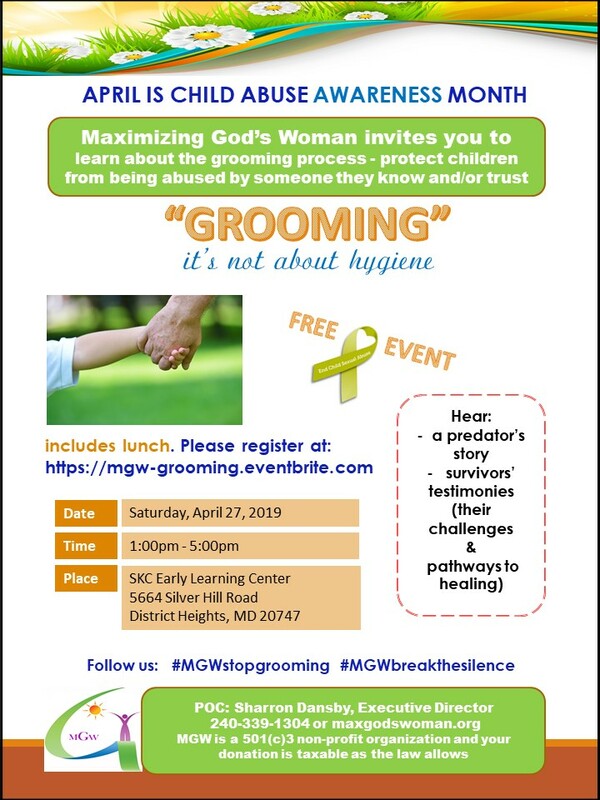 FACILITATOR: Sharron is an authorized facilitator for Darkness to Light’s “Stewards of Children” to help adults be proactive in protecting their children and preventing them from being sexually abused. MENTOR & COACH: Sharron understands the struggle of women. She earned her Bachelor’s Degree Business Administration and Masters in Business Administration while working and raising a family. She worked her way up from Accounting Technician to Senior Financial Manager and retired in 2009 after 34 years of government service. Sharron invited Christ into her life at age twenty-one and committed to her own emotional healing and spiritual growth. 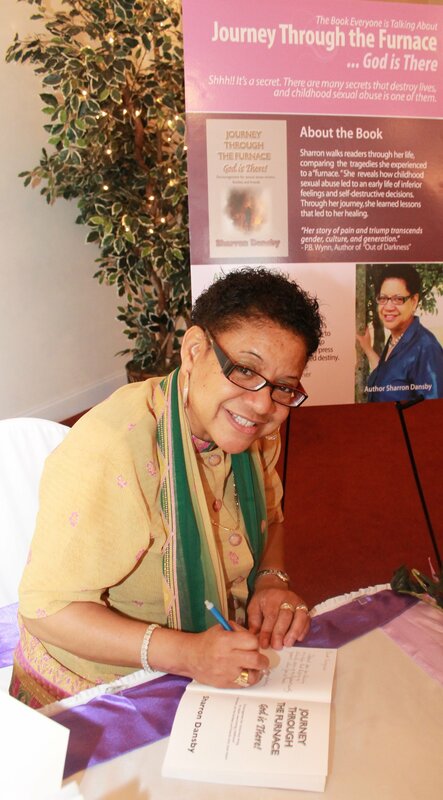 Since that time she has mentored many women in pursuit of their professional careers and dedicated numerous hours coaching others for their personal and spiritual growth. Her passion to empower women to develop healthy relationships led her to start her own business as a certified Relationship Life Coach. SPEAKER & TEACHER: Sharron is a motivational speaker who inspires others to experience living an abundant life. She has been key note speaker and workshop leader at numerous professional and non-profit functions. She is a student and teacher of the Bible and helps others apply biblical principles to everyday life. Sharron has taught youth Sunday school classes and teen bible study classes, engaged in teen ministries, facilitated women’s discipleship classes, orchestrated women’s seminars and events, and developed curriculum to lead support group. Sharron currently resides in Prince George County, MD with her husband Charles.